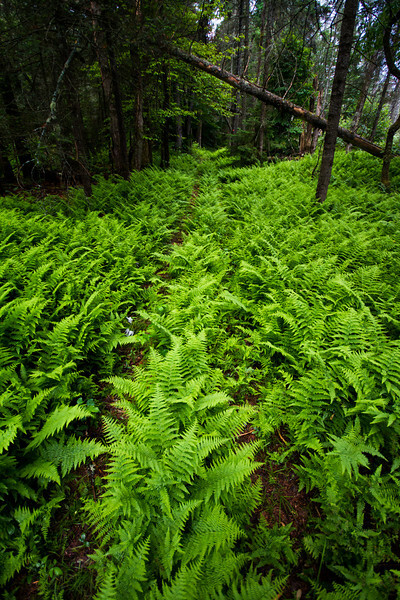 Ferns attempt to reclaim an old forgoet road in the Adirondack Mountains of Northern New York. 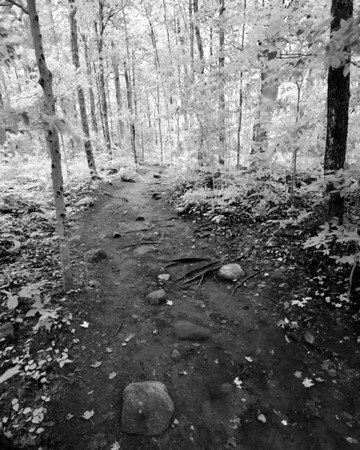 In the winter, this road is used as a snowmobile trail. 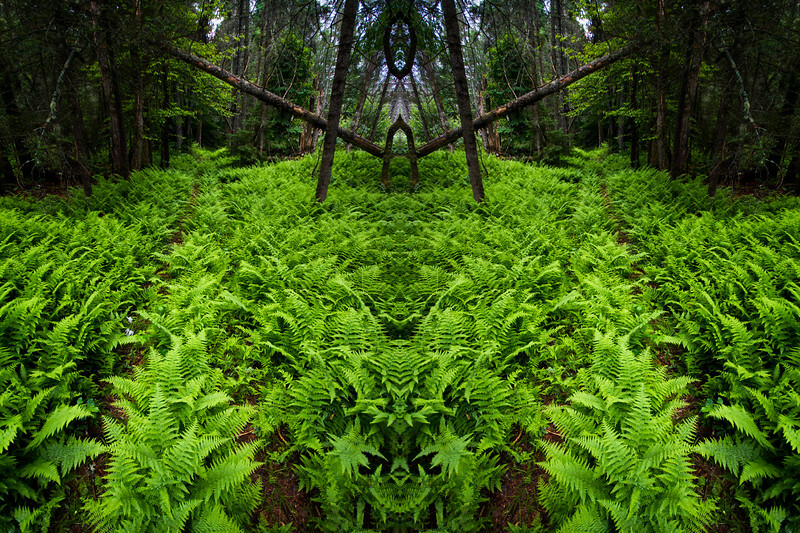 In the summer, these ferns have the road all to themselves. 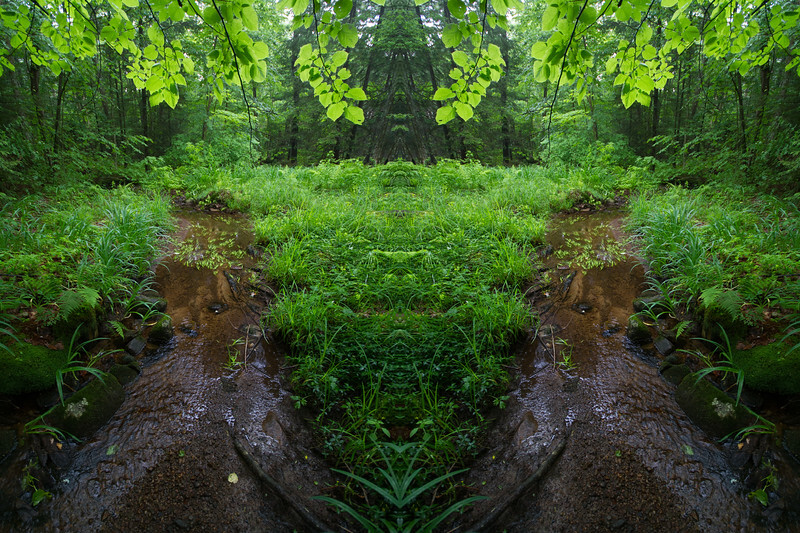 The long bare trunks of tall pine trees contrast the lush green of much younger trees that line the forsest floor at their base. 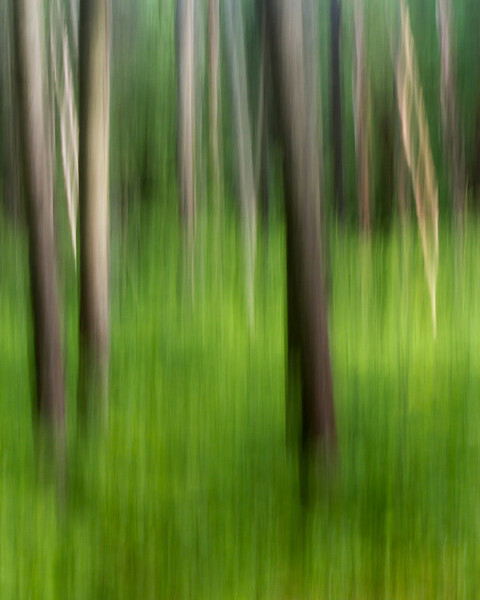 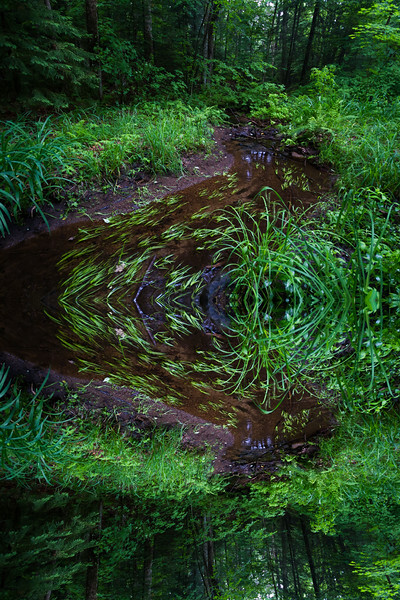 Moving the camera vertically during a long exposure created a more impressionistic image. 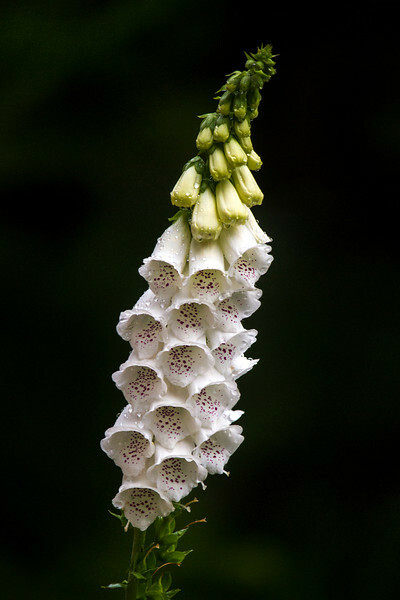 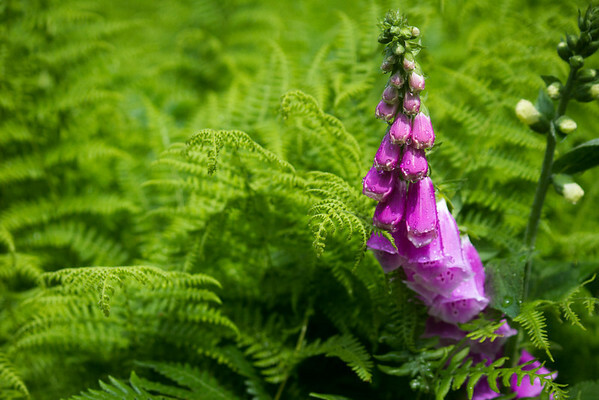 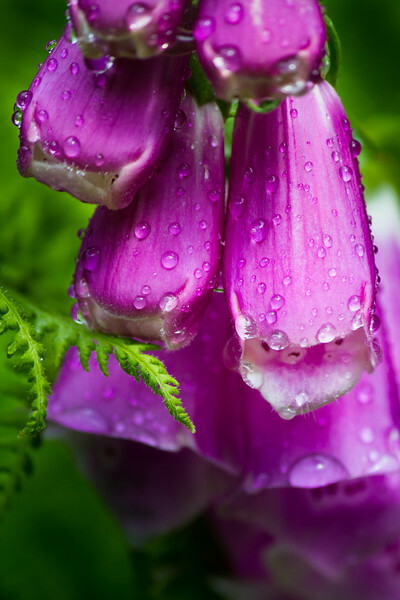 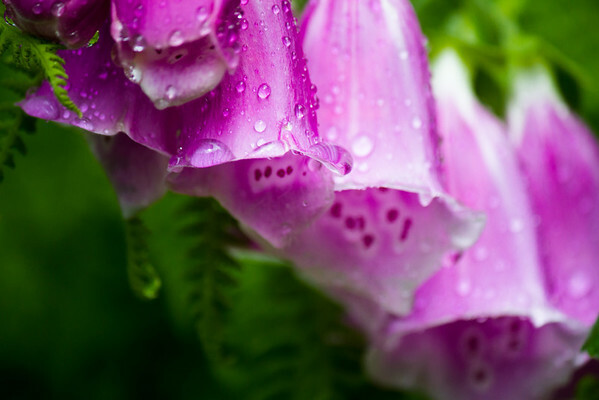 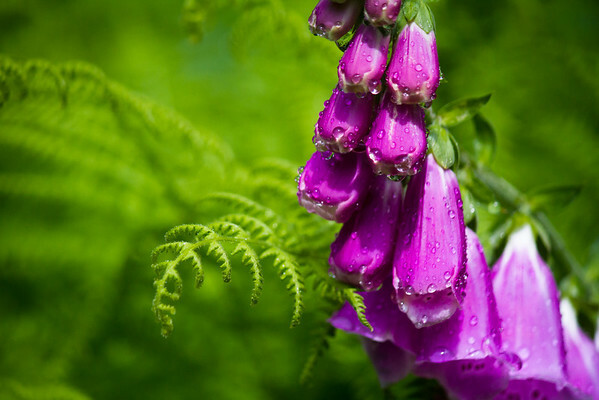 Rain drops hang on a purle foxglove flower found growing among lush green ferns in the Adirondack Mountains of Northern New York. 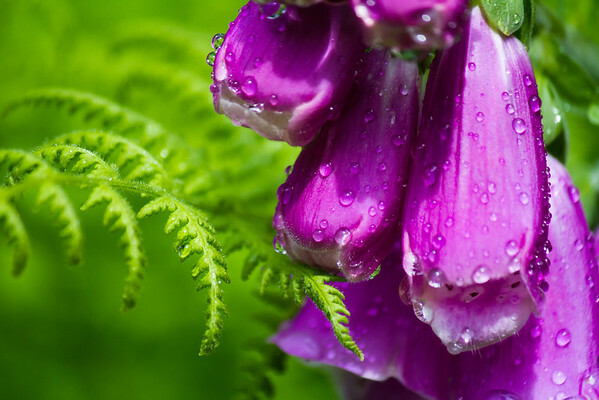 Rain drops hang on a purle lupin flower found growing among lush green ferns in the Adirondack Mountains of Northern New York. 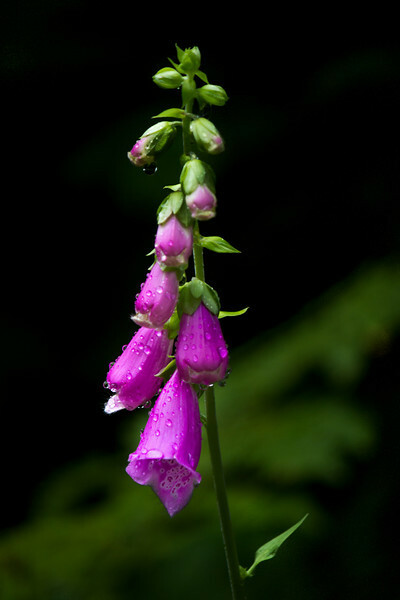 Flowers in an Adirondack Mountains garden during a summer rain storm. 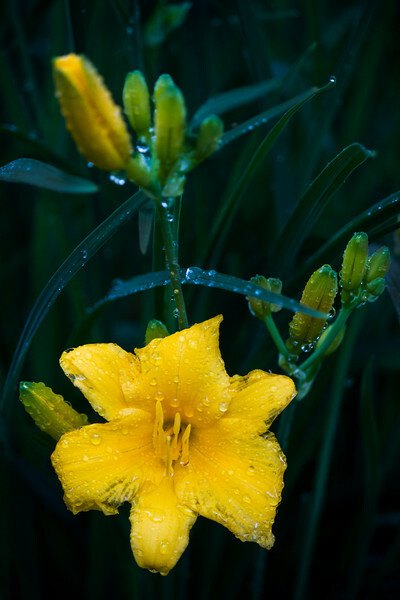 A yellow flower during an all too common rain shower in the Adirondack Mountains. 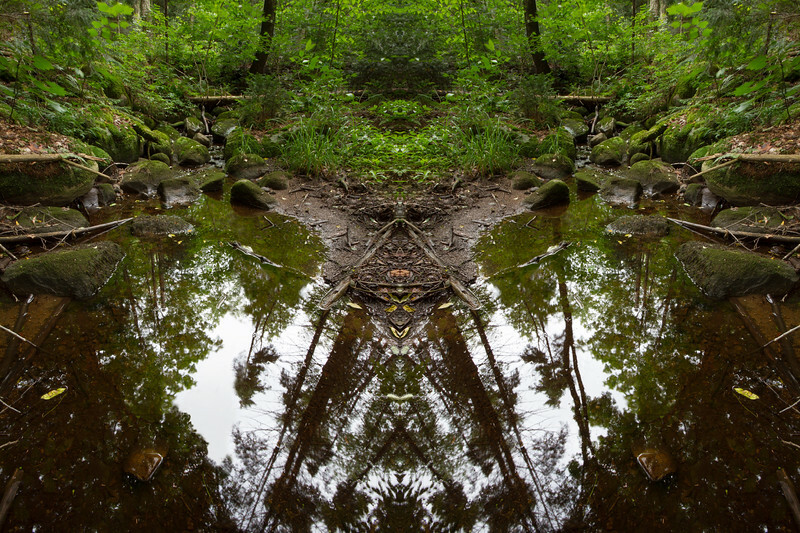 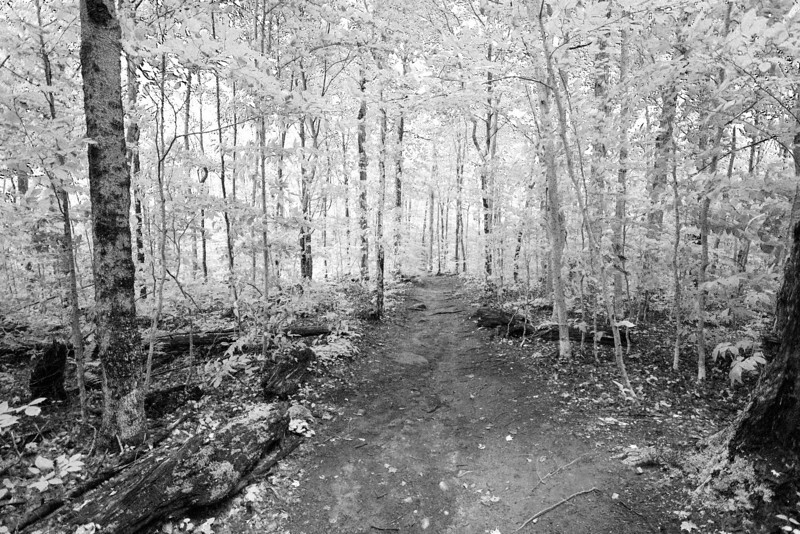 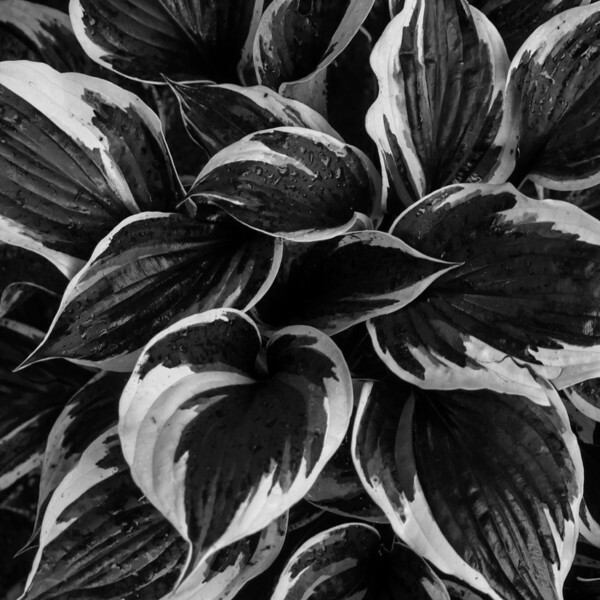 All photographs on this site are ©2006-2015 Chris Skopec. 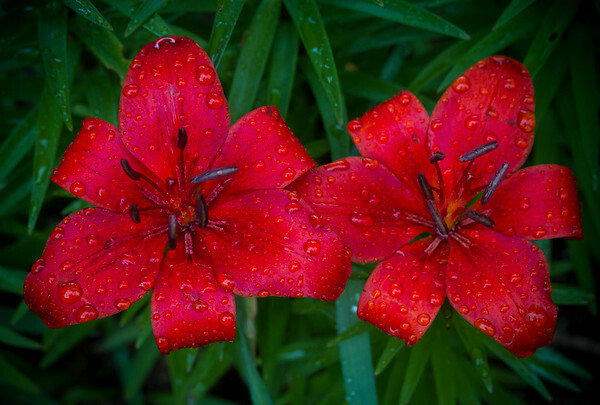 For more information on photo usage, click here.